Generators are one of 5 types in the Human Design system. They make up about 35% of the population. Generators have an internal motor like the engine of a car which gives them a consistent physical energy. When utilized properly, the generator motor is the electric power plant and supplies the energy to do things. 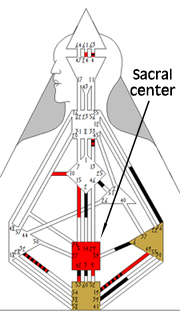 This power center is called the Sacral Center or Sacral Motor. It is the red colored square in this diagram. 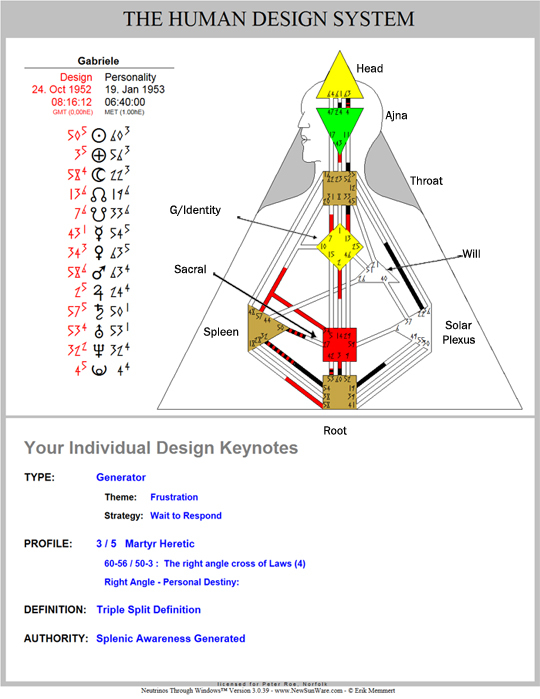 If you have a colored in Sacral Center in your chart you are either a Generator or Manifesting Generator. Manifesting Generators are similar but slightly different. 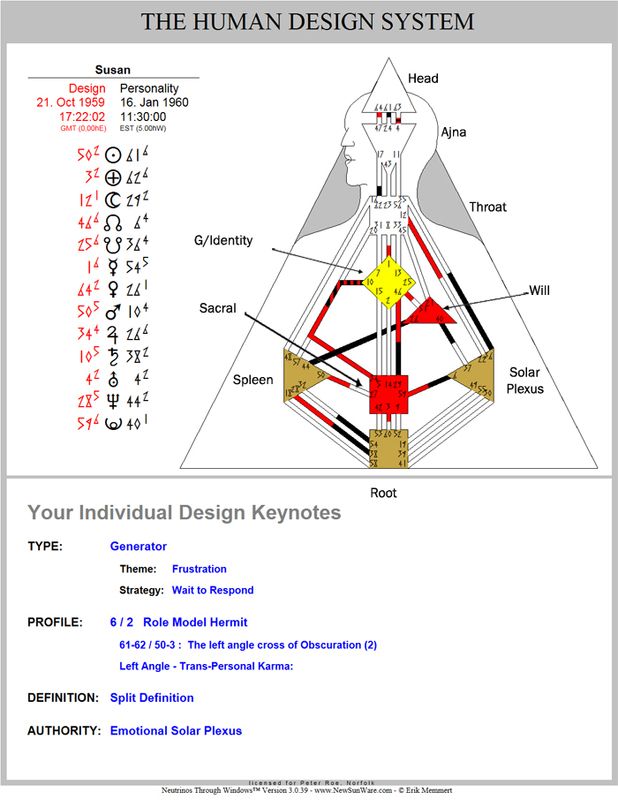 Manifesting Generators in addition to the defined Sacral lso have motorized power to the throat. I will be covering Manifesting Generators in more detail in a few weeks. With this power the Generator is here to do things. But ultimately the Generator will be more successful when they follow the strategy of doing in response. What this means is to do things in response to people, invitations, suggestions that are in the Generators reality. Most of us think they we need to initiate or go out and make something happen like the Nike mantra of “Just Do it”! And we can do it but for the Generator it will work more smoothly when we do it in response. There is so much to respond to in this world. Lets compare this Generator engine to a machine, say a dishwasher. What would happen if the dishwasher just started up when it wanted to. Perhaps it would be mostly empty and waste water, or even worse, the door would be open and flood the kitchen, What works best for the dishwasher and us is for it to respond to the door being closed, hopefully you remembered to add the soap, and then the button being pushed. Then when the dishwasher does it, things flow smoothly. Most of the time the response works in a chain. Lets take this scenario where a friend is over and asks me if I want to go to the movies. I have an opportunity to respond yes or no. If I respond yes, we will probably work through following questions with an opportunity to respond to each one. What movie? What time? What theater? Who is going to drive? Should we get food after or just eat popcorn?As I go I am responding to each question and doing something or not. I might not get popcorn ;-). Whether it is a big or small question make sure you bring it back to your heart and soul to determine if it is your passion. You want to spend your time and your life responding to things that make your heart and soul sing. That is what Generators are here to do. Here are some charts of Generators.